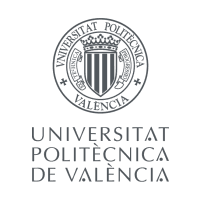 The Polytechnic University of Valencia is a Spanish university located in Valencia, with a focus on science and technology. Soundcool: Módulos de vídeo y propuestas creativas via edX 4-5 hours a week , 5 weeks long 4-5 hours a week , 5 weeks long 14th May, 2019 No reviews yet. Sonido Espacial y 3D via edX 3-4 hours a week , 6 weeks long 3-4 hours a week , 6 weeks long Self paced No reviews yet. Diseño de diques rompeolas con cubípodos via edX 3-4 hours a week , 7 weeks long 3-4 hours a week , 7 weeks long Self paced No reviews yet. Measure and Improve Innovation at the Workplace via edX 3-4 hours a week , 6 weeks long 3-4 hours a week , 6 weeks long Self paced No reviews yet. IT Fundamentals for Business Professionals: Software development via edX 3-6 hours a week , 3 weeks long 3-6 hours a week , 3 weeks long Self paced No reviews yet.